Are you sure you want to remove Self Assessment in European Foundation for Quality Management (EFQM) from your list? Self Assessment in European Foundation for Quality Management (EFQM) is a useful approach for the institutions seeking to promote themselves to EFQM (European Foundation for Quality Management) styles and standards in order to achieve excellence and leadership in quality. It is especially important for the developing countries industries and other institutions to be encouraged and fostered to participate in a quality assurance scheme based on valid international measures and standards and, in specific, those of the well known European Foundation for Quality Management. This will, in turn, prove fruitful and positively effective in the development process of the developing countries. 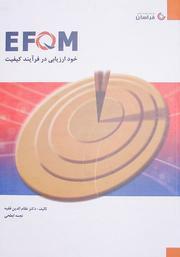 The book attempts to provide a thorough analytical approach to the problem of self assessment, covering all necessary steps in the model building; evaluations; intelligent decision support systems under uncertainty; applications of fuzzy mathematics; prioritization methods based on strategies and policies; weightings; data analysis; system simulations and improvements scenarios; final decision making procedures for quality excellence and leadership. October 5, 2010 Created by 76.118.180.107 Added new book.